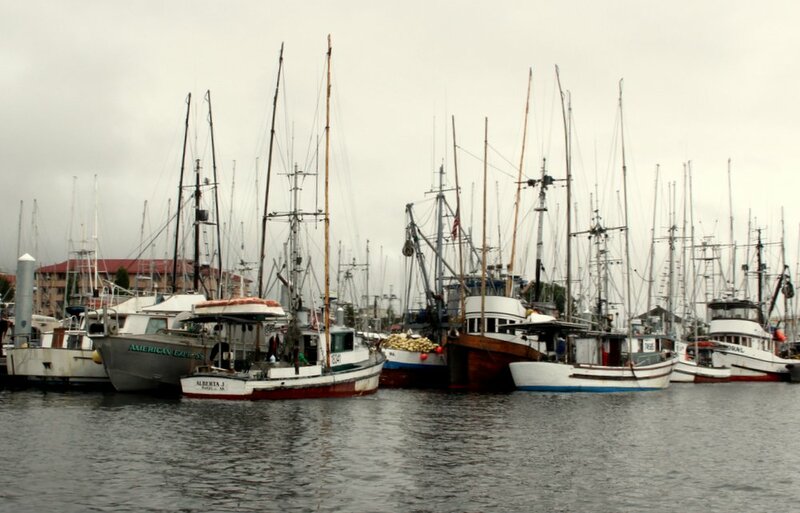 Southeast salmon fishermen are pushing back against deep restrictions in the king harvest this season, saying the problem is as much political as it is biological. The fishing advocacy group Chinook Futures Coalition is holding a forum in Sitka this Wednesday afternoon (3 p.m. – 5 p.m. Wednesday, March 21, Harrigan Centennial Hall) to shed light on how negotiations with Canada have disadvantaged Alaskan fishermen — even as the state works to address a serious conservation problem. At least half of January’s state Board of Fisheries meeting in Sitka was dedicated to hashing out a fishing plan for the winter, spring, and summer that would protect king salmon trying to return to the Chilkat, Unuk, and King Salmon rivers. Dozens of salmon fishermen testified that last season’s emergency closures were unwarranted — coming too late to benefit the fish — and only harmed the fishing industry, to the tune of almost $3 million. At a February meeting of the Sitka Chamber of Commerce, speaker Deborah Lyons with the Chinook Futures Coalition, argued that Southeast trollers gave up 31,000 kings to allow only 160 to escape into their home rivers. Salmon fishermen historically have had a good working relationship with the Alaska Department of Fish & Game, but the decision to never hold a second king opener in August — when the fleet usually catches about 30-percent of its allocation — Lyons believes was unjustified. That’s the Pacific Salmon Treaty, and Lyons is an expert on the subject. She served on the Northern Panel from 1995-1999 — one of four regional panels which advise the treaty commissioners, and she also served on the Alaska State Board of Fisheries from 1990-1993. The Pacific Salmon Commission estimates the abundance of king salmon in the Gulf of Alaska, and negotiates the harvest allocation between the United States and Canada. Lyons told the Sitka Chamber of Commerce that over the last three decades Alaska had already negotiated away 49-percent of its historic harvest, to protect stocks in Canada. She believes that preventing Alaskan trollers from harvesting those 31,000 kings last August only meant that they would be caught in Canada and Washington. She told the Sitka Chamber that it was a blunder. One of the U.S. treaty commissioners — Charlie Swanton — holds the number 2 job at the Alaska Department of Fish & Game, and is in charge of the state’s commercial fisheries. Lyons suggested that Swanton’s overlapping duties as treaty commissioner and a state fisheries manager influenced ADF&G’s decision to close both commercial trolling and sport fishing for kings last August, and may have circumvented the state’s traditional management process. Lt. Governor Byron Mallott is scheduled to attend the Salmon Forum in Sitka, if developments in the legislative session in Juneau don’t keep him away. Other members of the panel include Alaska Longline Fishermen’s Association director Linda Behnken discussing the economics of the small-boat fleet, Northern Southeast Regional Aquaculture Association general manager Steve Reifenstuhl will talk about the challenges of “marked select” fisheries, a program suggested by the Department to tag the majority of hatchery-raised king salmon. Jim Moore will represent the Alaska Trollers Association, along with fellow trollers Eric Jordan and Matt Donahoe.